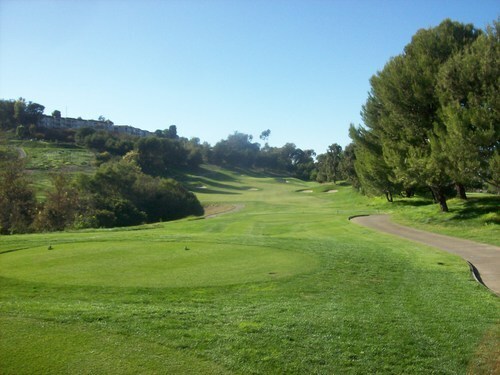 Recently, I had the opportunity to play Aliso Viejo Country Club as part an SCGA member outing. I’ve been lucky to participate in a number of these outings this year in order to play some usually private clubs at reasonable prices (and with a good group of people), but it’s even nicer when the course is so close to home. I was in the 12:30 group, last of the bunch. Usually, you can expect a bit of slow play at one of these outings, but being the final group definitely meant we were in for a long day. 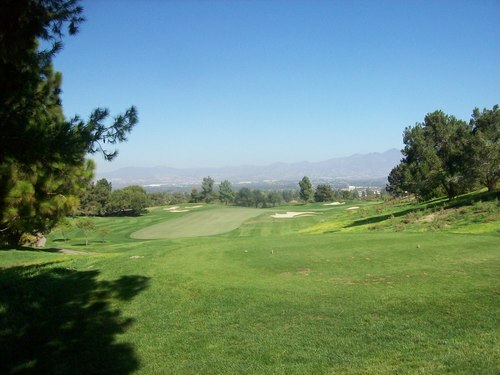 And when you consider the fact that they were playing as cart-path-only after recently reopening from their fall overseed, that meant a rather sluggish pace of almost 5.5 hours! I felt really bad for the member groups that went out behind us because I’m sure they are not used to such long rounds. 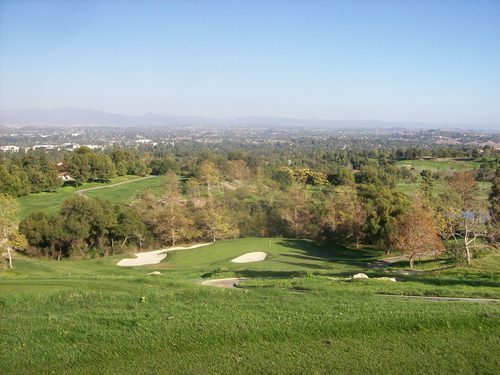 I was happy to finally play Aliso Viejo because I always felt like it was kind of a missed opportunity in the past. 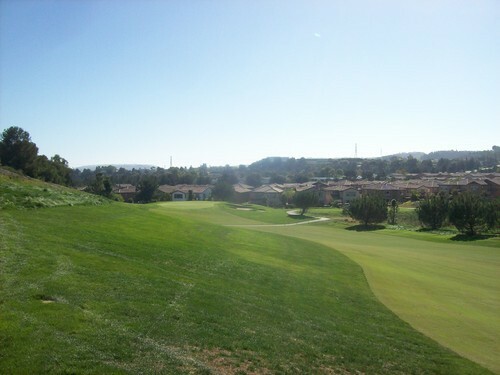 At one time, this was a 27-hole facility, but they ended up remodeling as the community grew and housing became more valuable than golf course real estate. I don’t know all the politics or reasons, but it’s been through some significant changes over the years since it opened. 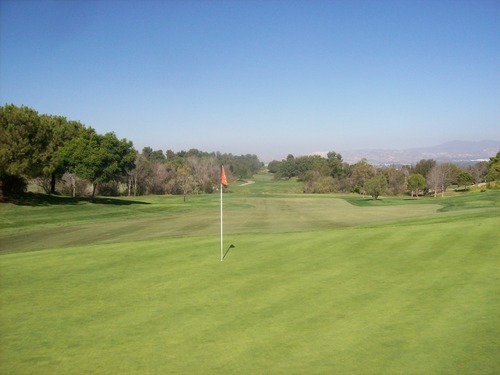 For a number of years during the renovation, it was running as only 14 holes and it was open to the public. I guess you’d loop back around to play holes 1-4 twice in order to complete your full 18. It always seemed a little expensive for that set-up and I also figured I’d just wait until they re-opened all 18 holes. Unfortunately, it seemed as soon as that happened, of course the club went private. For $60 with the SCGA outing, it was a no-brainer to sign up and finally check this one off the list. 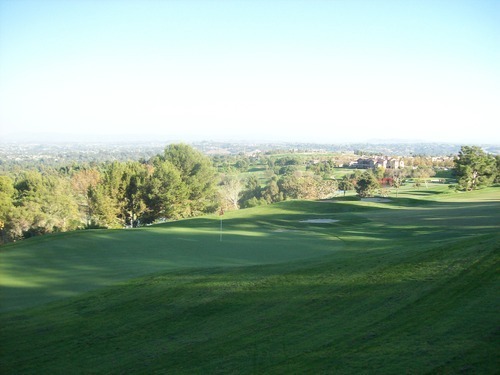 Aliso Viejo was designed by the Nicklaus Design group. I don’t know how much Jack had to do with the layout (if anything), but it definitely has some of his hallmarks. The most notable thing is how well-protected the greens are. 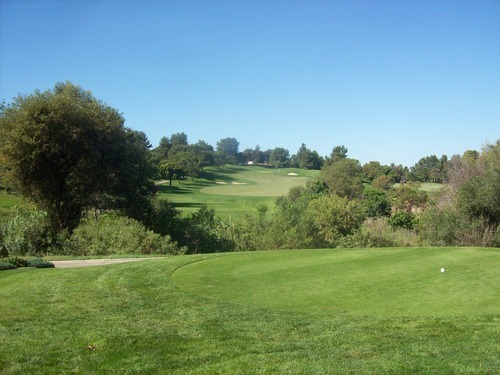 Most are elevated or obscured by mounds and false fronts that require you to fly your ball to the green to find the surface. Otherwise, this is a fun layout that offers just enough challenge, but won’t beat you up. 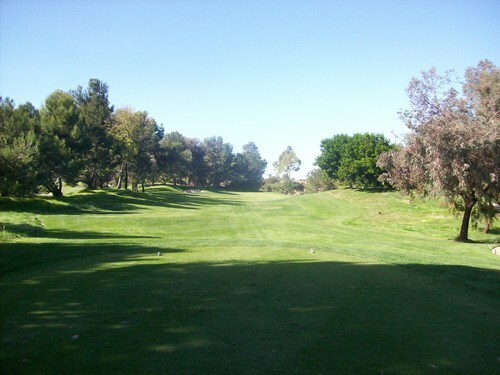 I’d say most of the fairways are pretty forgiving, so there is ample room to land your tee shots. Then, the main challenge comes with the approach shot. One factor is how hilly and undulating this course is, so you will rarely have a flat lie. 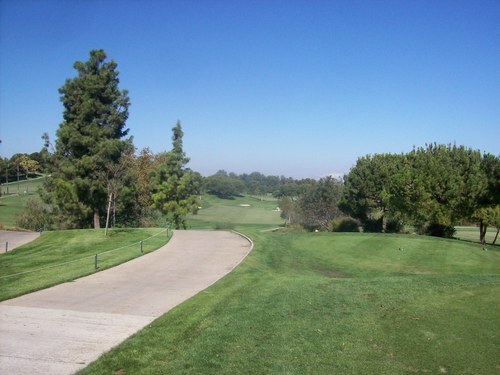 Many holes play significantly uphill or slightly downhill, so judging the distance is also an issue. And then you have those well-protected greens and pins that are often tucked right behind a big bunker or mound. 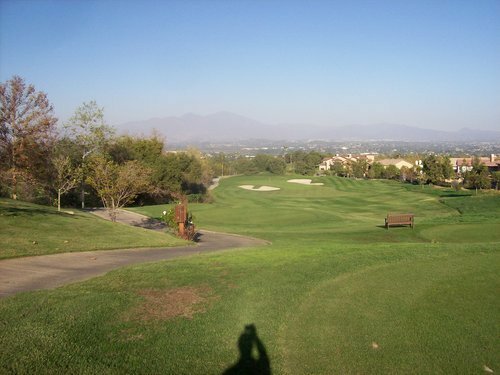 There is some nice overall contour to the look of Aliso Viejo and the hilly terrain adds some drama and a few fantastic views of South OC and Saddleback Mountain in the distance. 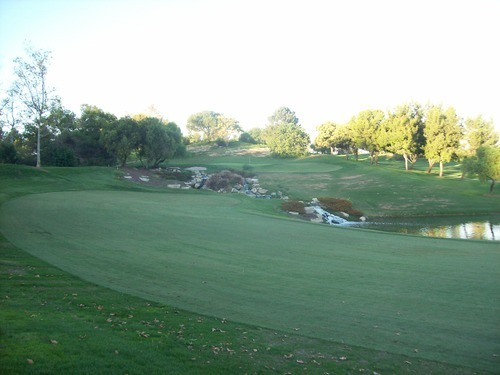 One thing I did like here was that the outer areas bordering the holes featured long, lush fescue grass. 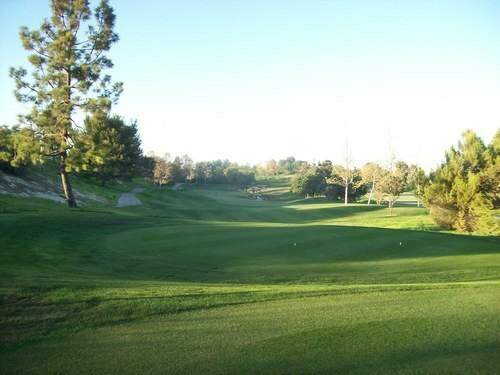 With the drought in California, so many courses are just letting those areas completely die, so you get a lot of ugly brown or bare dirt patches throughout the course. It’s understandable why they do this and it makes sense on every economic and environmental level, but it just doesn’t look very pretty. 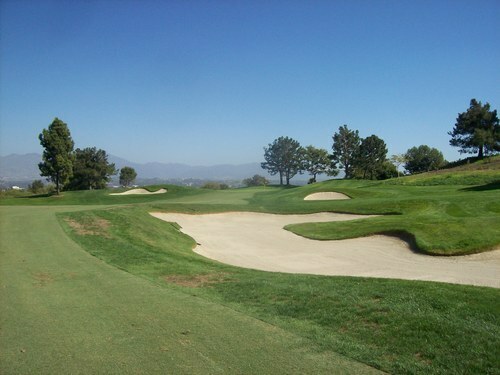 At Aliso Viejo, the look is definitely nicer, though the downside is that anything hit into this fescue is almost a guaranteed lost ball. It is brutal stuff! 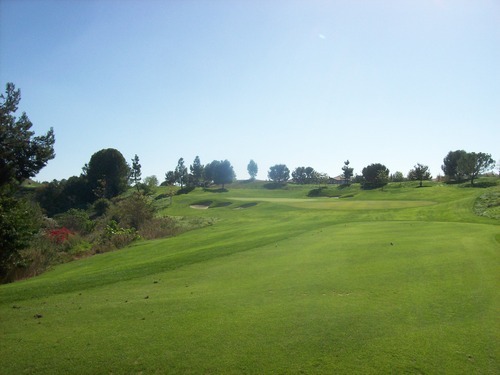 There are definitely a number of memorable holes at Aliso Viejo. I thought the front nine started off relatively tame with several pretty “easy” holes. The first four par-4s are all 350 yards or less from the blue tees (though one is straight uphill) and the 5th is a pretty benign par-3. However, just as you are lulled into a sense of self confidence, you get to the par-4 6th hole. It measures 436 yards from the blues. Water guards the green short and right and everything funnels right toward it. Even a lay-up is no easy task for us shorter hitters. The most signature holes are on the back nine. The 12th is easily the best par-3. One guy in our group called it a pure “gimmick” hole, but I found it fun with a great view and a 150-foot drop from tee to green that makes it really tough to judge. The 17th is a beast of a par-4 with a creek bisecting the fairway and a severely uphill approach shot to a false-fronted green. 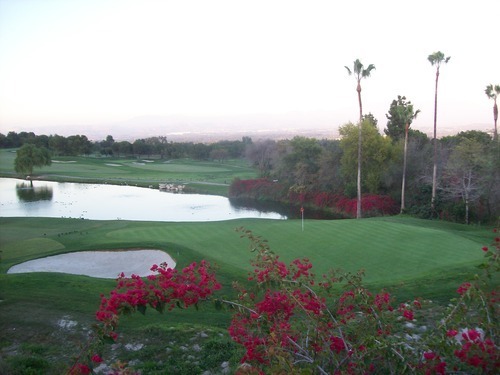 I also liked the 18th, which is a good par-5 with water on the left. 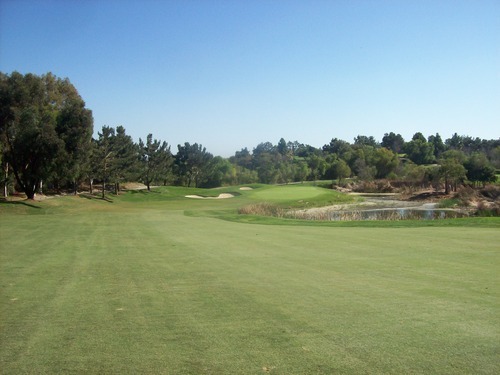 I mentioned how the course has been renovated and rerouted multiple times in its history and you can definitely sense that in the current layout. 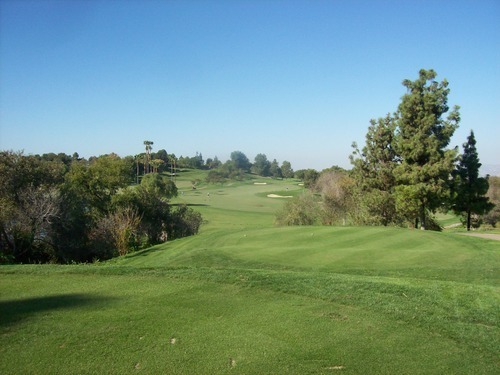 Some holes feel a bit mish-mashed together and there are some awkward switchbacks, shared cart paths and tee box configurations. The conditions were pretty good overall. The tee boxes were mostly good, with just the par-3s being a bit chewed up in the afternoon. 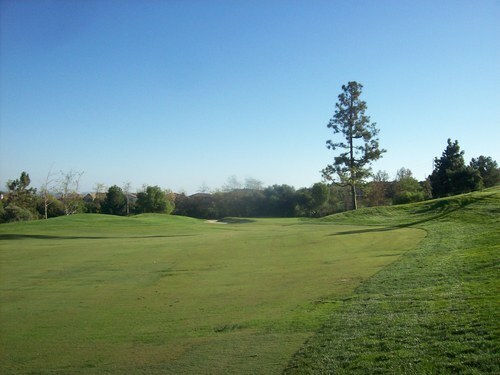 The fairways were relatively shaggy and sometimes mushy bermuda, so it was extra grabby. 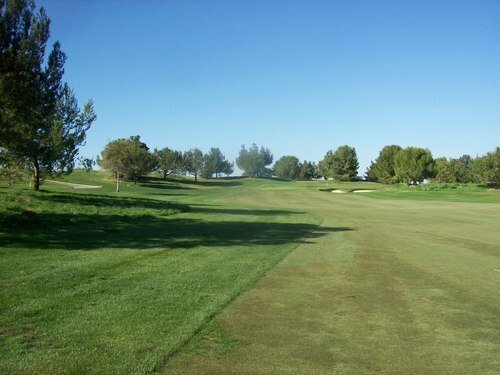 The fairways are a little brownish in color (as bermuda is), so it didn’t look as sharp next to the thick, green rye rough and those deep patches of fescue on the outer edges. The one bunker I was in had good sand and the greens were in pretty decent shape, as well. They were very soft and a little bumpy at times. They were rolling at medium speeds and showed very little signs of the recent aeration. 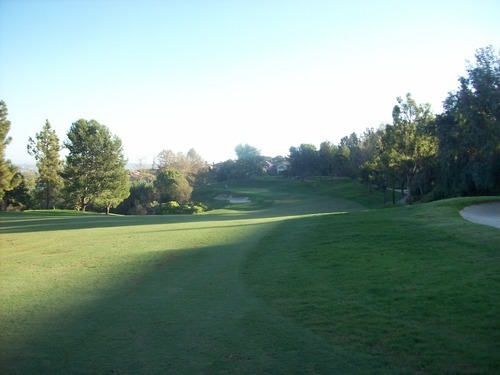 I would recommend playing Aliso Viejo to anyone, though it’s not a layout everyone will like. 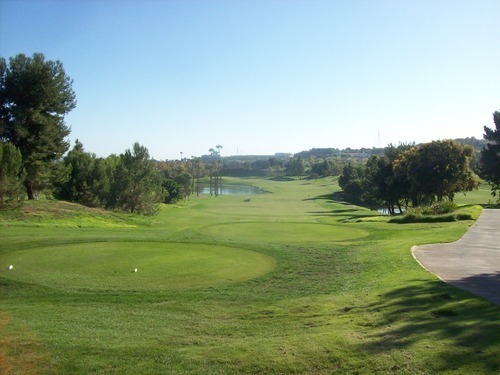 It is not a long course by today’s standards, but it does present enough challenge, diversity and scenery to keep most players plenty entertained. 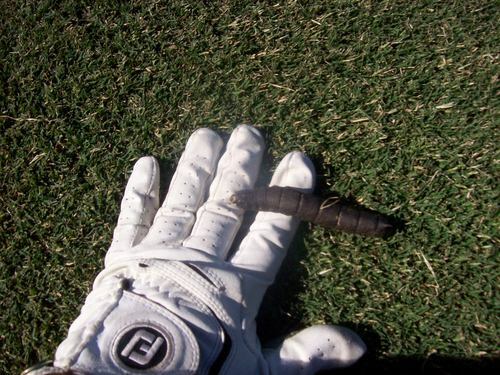 Now, that’s a big caterpillar!